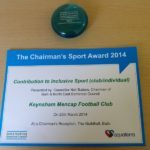 Keynsham Mencap FC Wins the League! 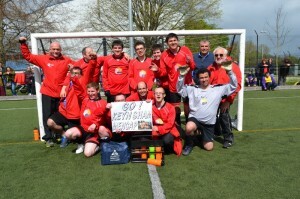 The Keynsham Mencap Society football team are celebrating after winning Division 2 of the disability football league. 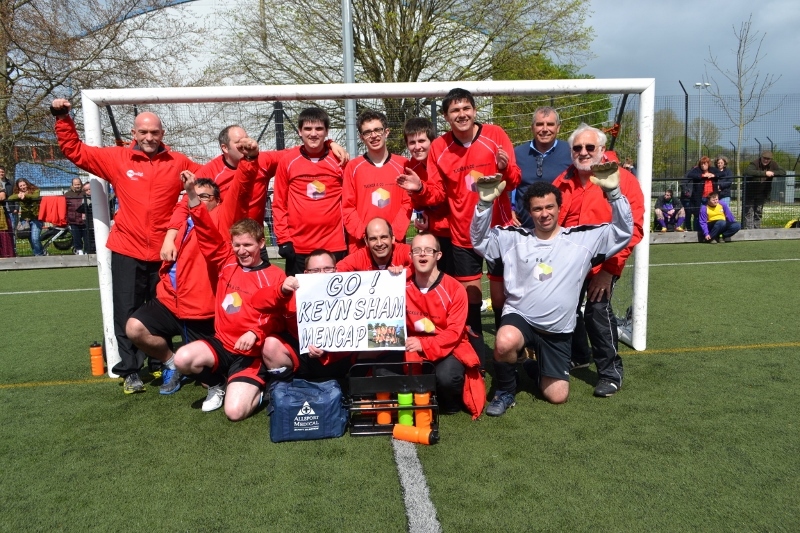 The team, made up of 16 people with Learning Disabilities, play in the Somerset FA Ability Counts League and play against other disability football teams across the South West. The team played their final 4 matches at the fixture on 27th April at Strode College, winning 3 of their games to be crowned champions. The players were awarded a cup and medals during a presentation following the final match. 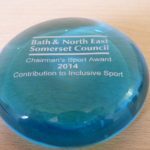 Only 6 weeks ago the team were awarded the Contribution to Inclusive Sports at the BANES Chair Sports Awards in recognition of the hard work the team have put in to making their club a success. We are very proud of the players and very grateful to the coach and volunteers that support the club and make it all possible. 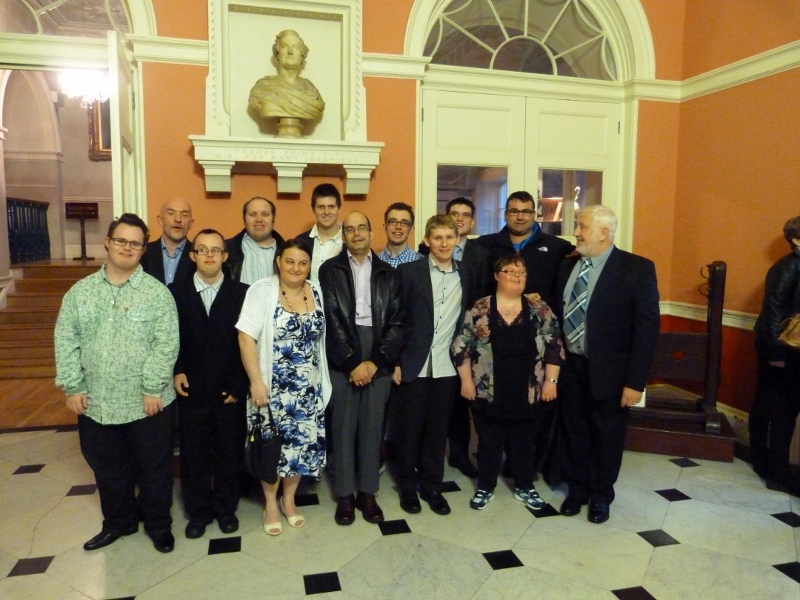 Thank you to everyone that took the time to vote for us in the Direct Debit competition. 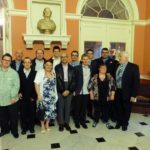 We didn’t win the big prize but did win £100! Cash prizes were given based on the number of votes, so thank you again to everyone. 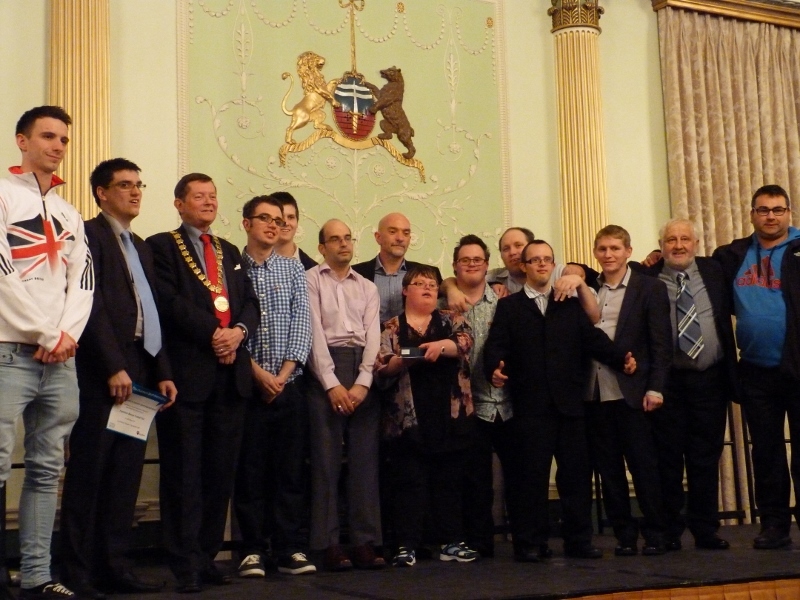 Keynsham Mencap FC football team were invited to attend the Chairman’s Sports Award 2014 at the Guildhall on Tuesday 25th March after being nominated for an award. 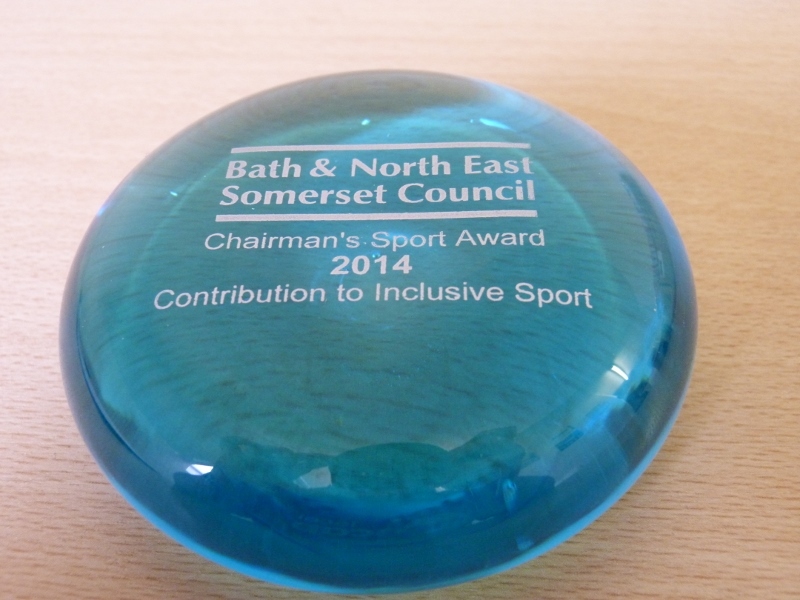 The team were absolutely thrilled to be announced as winners in the ‘Contribution to Inclusive Sport’ category. 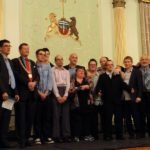 The players were invited on stage and awarded with a glass plaque from Bath Aqua Glass and a certificate, presented by Cllr Neil Butters. 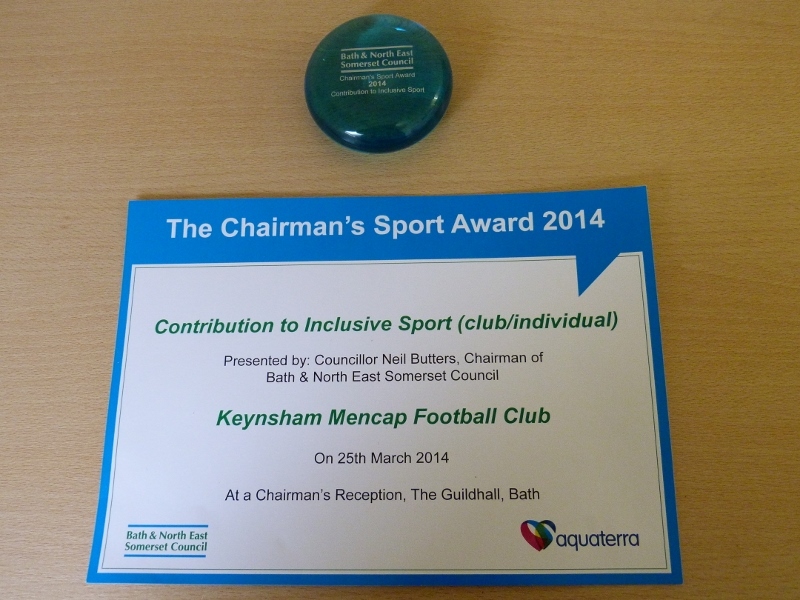 Keynsham Mencap FC were nominated in recognition of their hard work over the last year and for how they work together and support each other as a team.